Considering we lather our face with these things day-in day-out, the ingredients of our beloved skincare go-to's lining the shelves of our bathroom are occasionally overlooked in the face of opting instead for on-point branding or celebrity recommendations, speaking for myself at least. This could be down to putting a lot of trust in the brands that we hand over our hard-earned pennies to in the promise of getting that glow, and ignoring the another-language-esque list of ingredients that is too mind-boggling to even try and get your head around without a stint of wikipedia-based research. One of the words you're likely to see in the realm of skincare right now is hyaluronic acid (HA); and it's magic lies in it's ability to benefit all skin types by replenishing that much-needed moisture we're all sadly lacking. There are a lot of it ingredients at the moment that sound faintly similar to periodic elements we were taught at school, most of us know that they're in there for a reason, but we don't technically know why. Hyaluronic acid is one of those, as difficult to spell as it is to say, and there's a reason why it's coming up so much; not just in skincare but in make-up too with most brands having their offering and for good reason. The importance of keeping hydrated is drilled into us, especially in the process of improving the appearance of our skin, but still most of us drink no where near enough water as we're meant to, for whatever reason (guilty!). Unfortunately there are knock-on effects of this and, simply, the less hydrated, the less supple our skin looks. I can't pretend to be clued up on the science behind HA, but Porter magazine's run-down of The Magic 5 'must-have' skincare ingredients tells a pretty comprehensive story of why the molecule is beneficial for any-aged skin. In brief, it's ability to retain water gives skin the appearance of being plumper and firmer on the surface of the skin, lessening signs of ageing like fine lines and wrinkles, getting skin away from the lackluster effect that dehydration kindly brings. 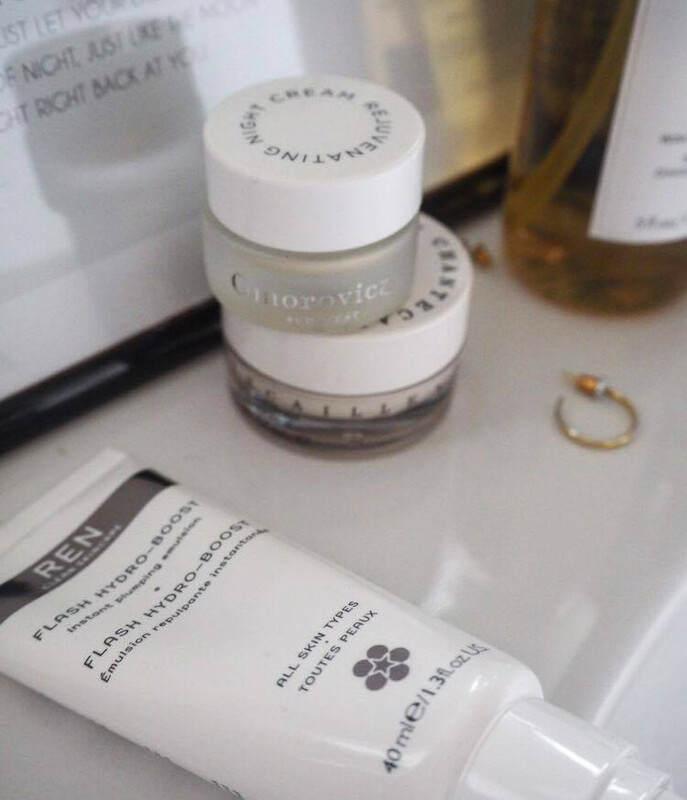 Implementing hyaluronic acid into your skincare routine on a daily basis is something that will even benefit younger skin to prevent signs of ageing. 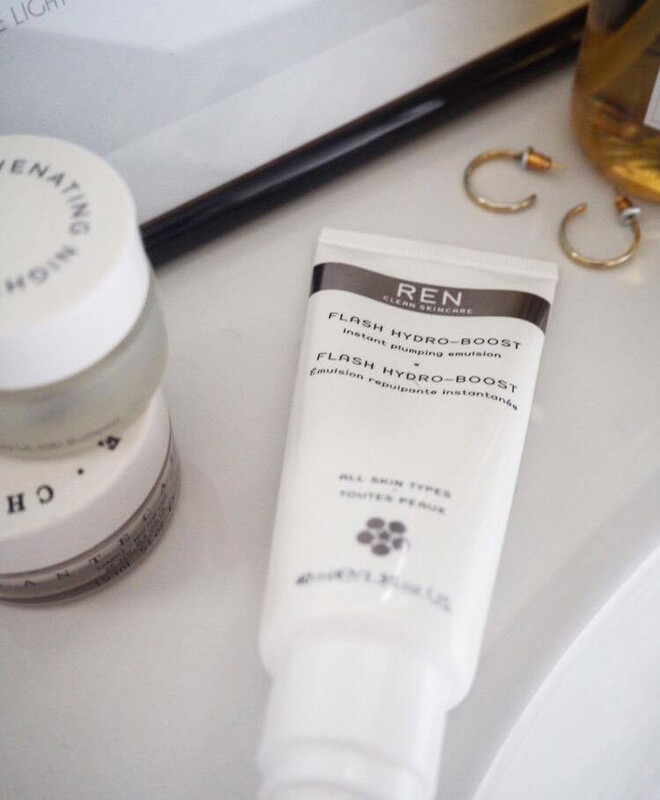 REN's Flash Hydro Boost is one such product that uses HA within it's formula to prevent the ageing effects of dehydration using a water-activated emulsion. It instantly plumps the surface of your skin and once you start using it, you'll get the hype.